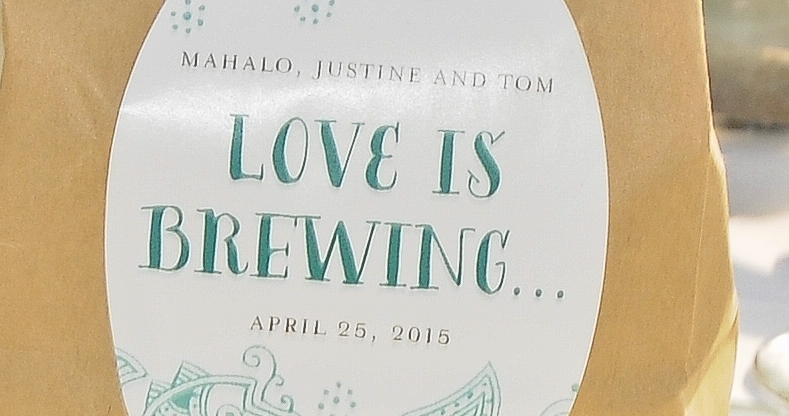 Justine & Tom are from Foster City, California. 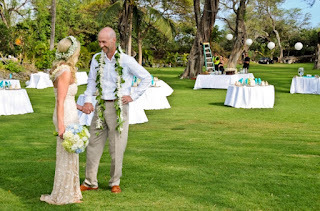 They have been planning their wedding for 2 years and have come to visit to scout out locations and meet with their wedding planner at Hawaiian Island Weddings twice before their wedding. 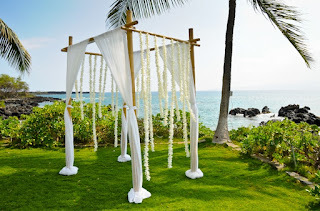 After a few suggestions, they decided upon the Makena Oceanfront Private Estate in South Maui. Their wedding was truly magical. 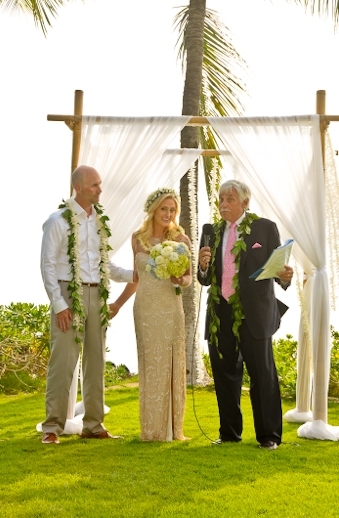 They decided to have their own officiant, who is Justine's Godfather, perform their ceremony. 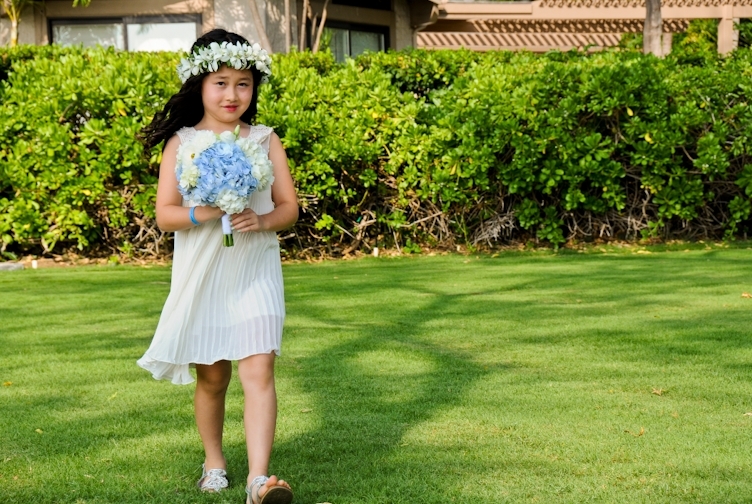 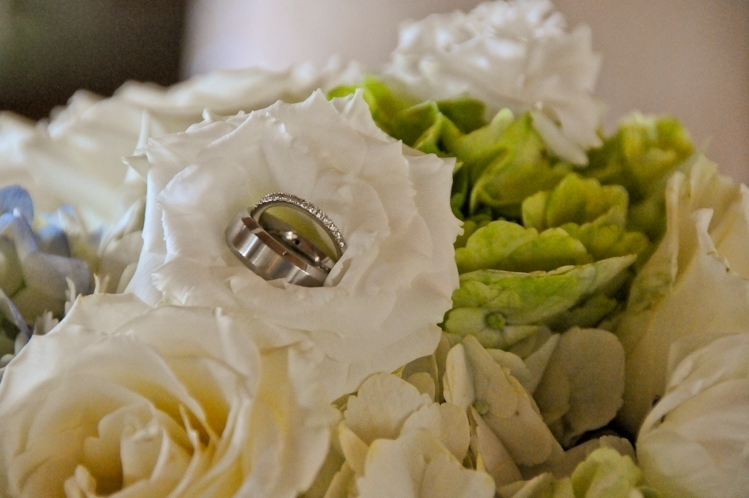 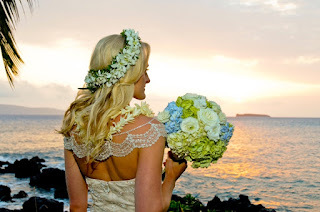 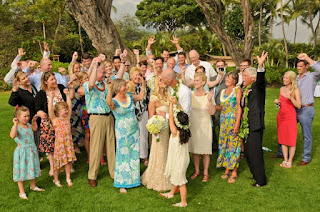 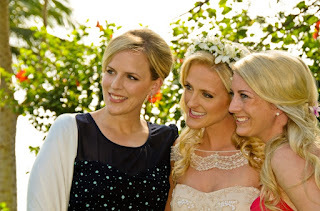 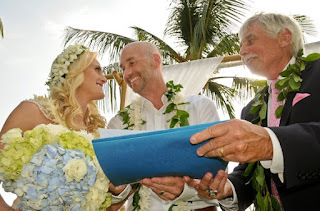 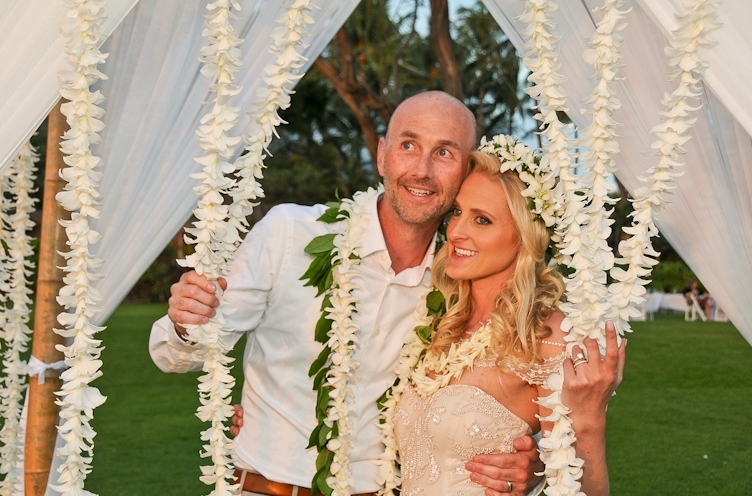 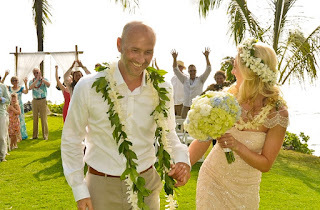 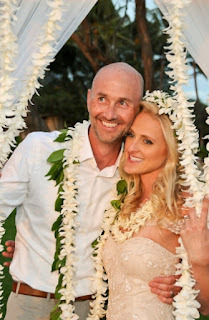 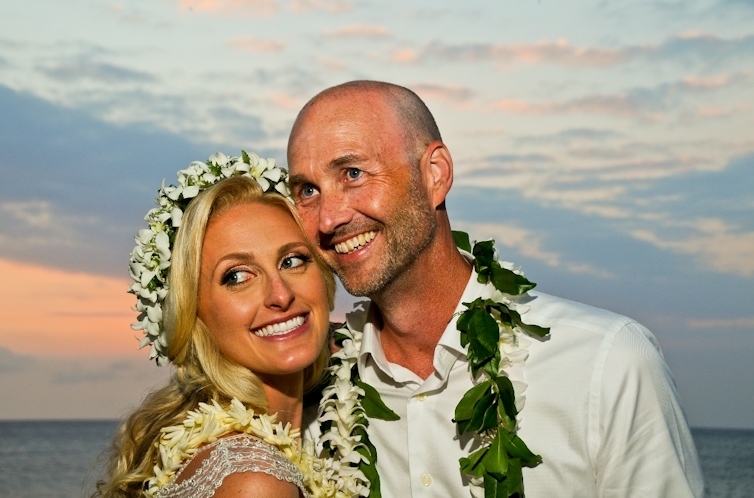 Their wedding coordinator helped to make special arrangements with the State of Hawaii to provide him with one-time permission to perform the ceremony legally. 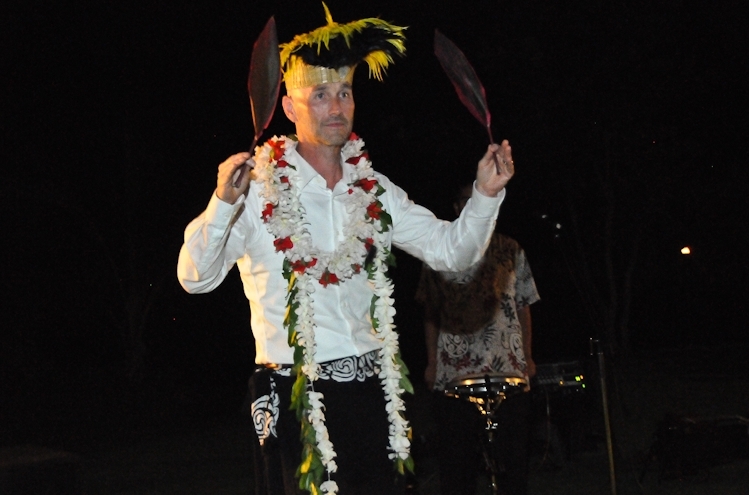 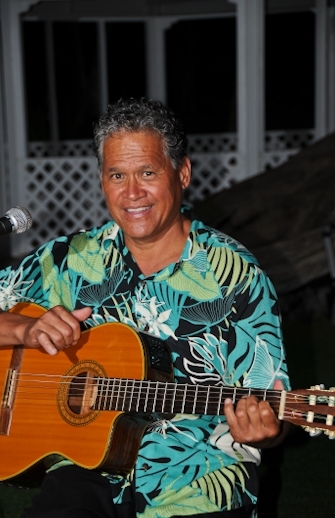 Their ceremony was accompanied by famed musician Ron Kuala'au, who provided some great Hawaiian music during their ceremony and afterwards during their cocktail hour. 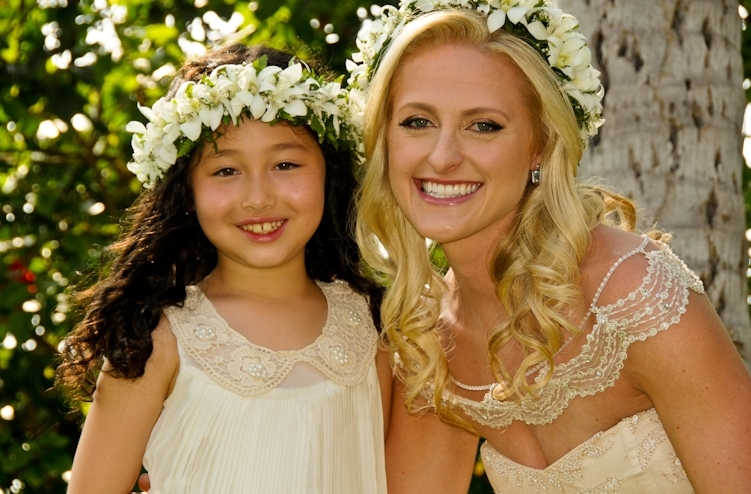 Photography was provided by Tim Clark Photography and Scott Hughes Photographics. 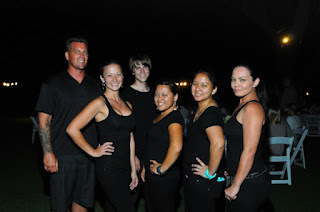 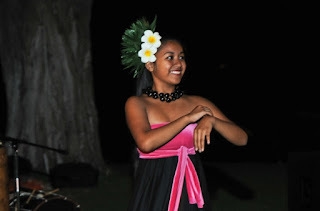 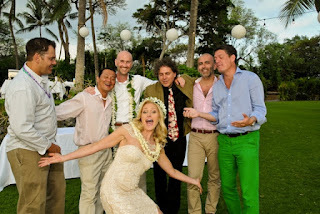 Their catering was provided by Aimee "Paradise" Singer and her crew from the Maui Culinary Academy. 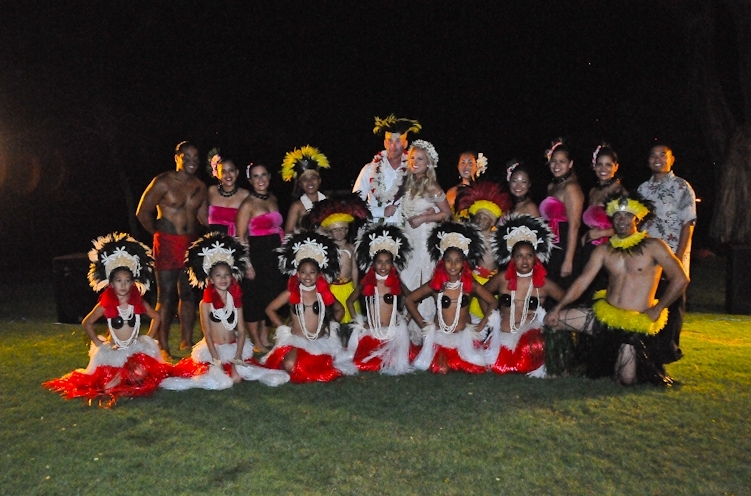 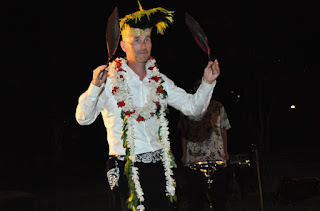 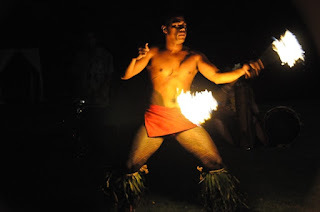 After dinner, a 20 person Hula troop provided the couple and guests with a private Polynesian Hula Show that is unsurpassed by any on Maui. 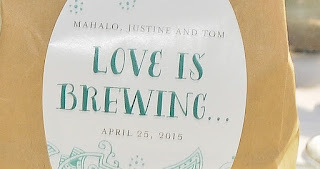 Congratulations to Justine & Tom! 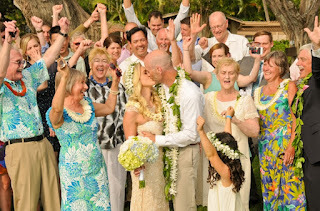 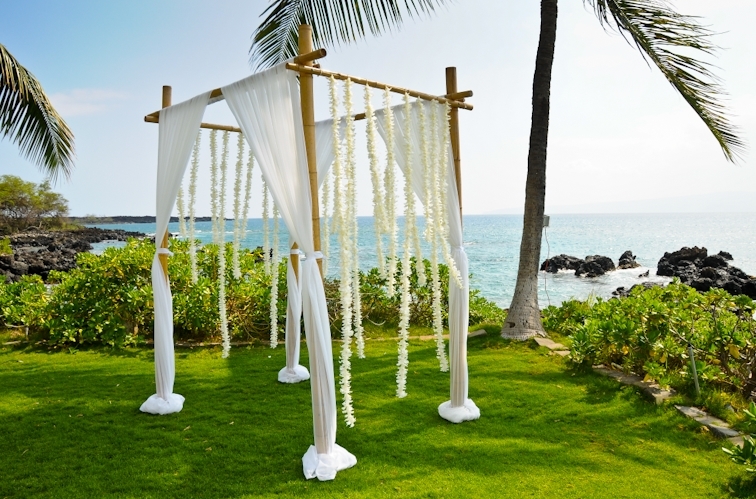 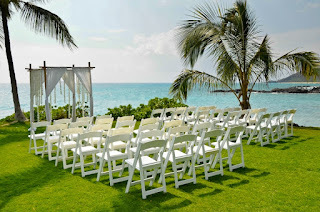 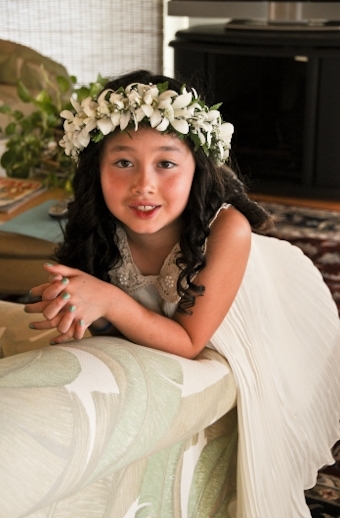 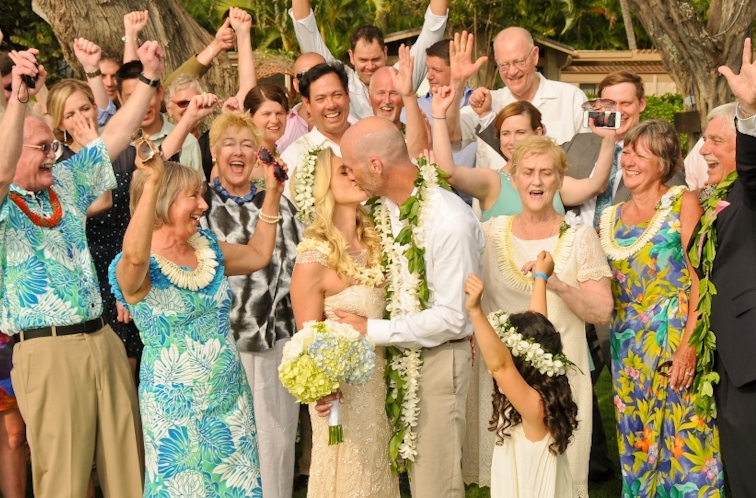 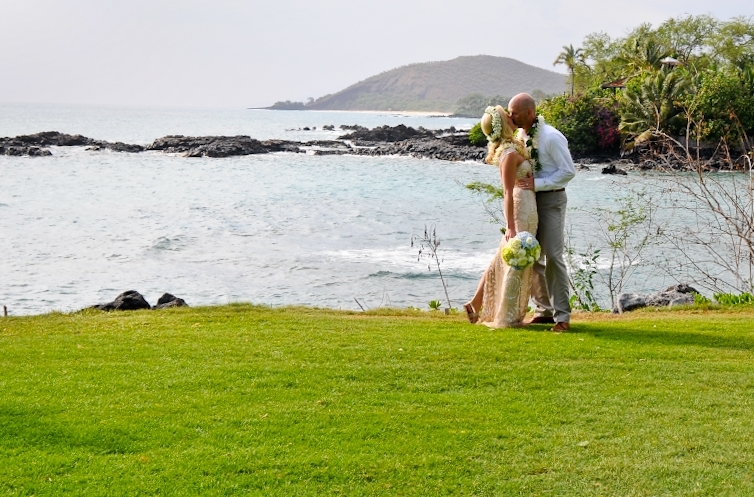 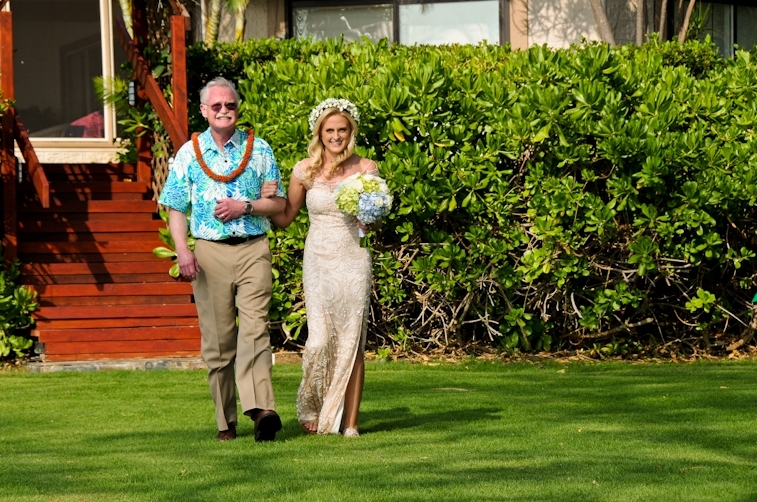 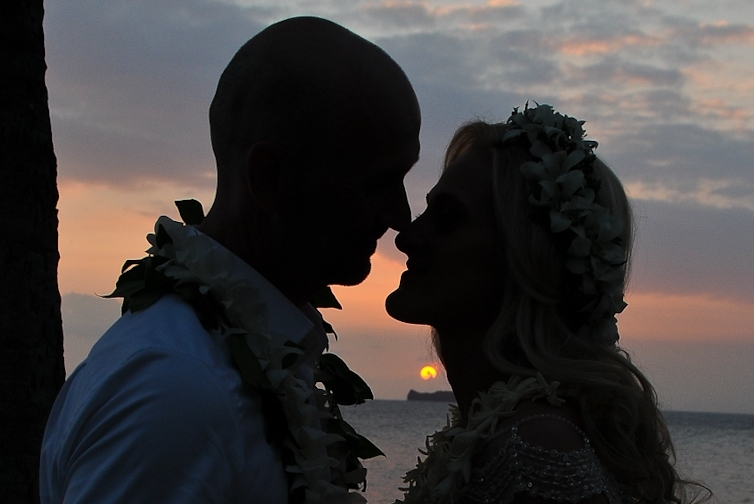 All of us at Hawaiian Island Weddings wish you all the happiness in your lives together!